The Association Mountain for All will travel from the Canary Islands the Camino de Santiago from September 10 and arriving in Compostela on Friday 16. 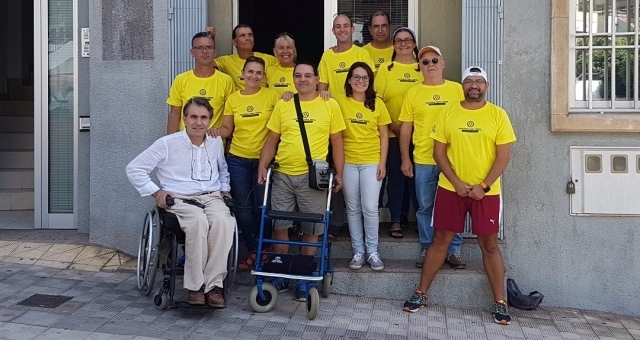 11 members of this association will travel the final stages of the Portuguese Way to meet the Alberto's special dream, who is suffering from ataxia, a neurodegenerative disease that makes it impossible to walk and perform other activities. The expedition will depart from the island of Tenerife with the aim of covering the last 119 kilometers from Tui to Santiago de Compostela, a challenge with which Alberto began to "dream" for some time: "I felt in my heart 'being alive' the power to make a challenge for me impossible, since carry it out without this support would be unworkable. " What support Alberto mean? How to break the barriers of the Camino de Santiago? Very easy, with the help of a Joëlette, a chair adapted and designed for the disabled can enjoy hiking on any terrain. These chairs, with which the members of the Association Mountain for All and Alberto travel the road from Tui only needs the help of two companions or "riders" who do not have difficulty hiking (but do not need a special physical form) . Each help the occupant Joëlette pulling and pushing of the chair, which is supported on the ground by means of a wide wheel. Thus, with the joint initiative and non-profit associations such as this, it is possible that people with disabilities, who even have trouble leaving home, can have access to natural areas such as the Camino de Santiago offers a good that everyone should have access. 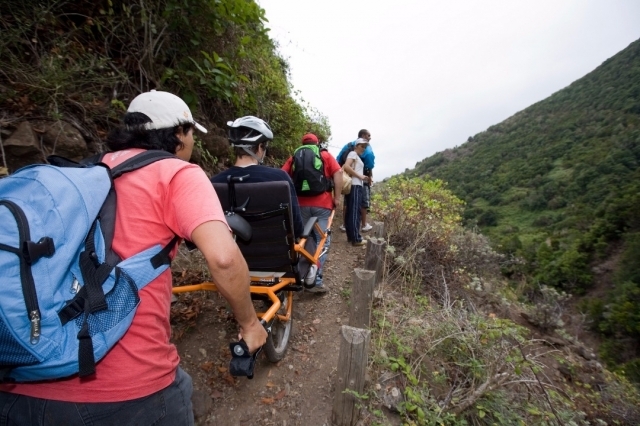 The Association Mountain For All is made up of volunteers who selflessly contribute their efforts for people with reduced mobility can have access to the natural environment through hiking adapted. Es una manera de que todo el mundo disfrute del camino. Algunas rutas del Camino son verdaderamente complicadas para los discapacitados, pero claro, tampoco se puede pretender adaptar todo el camino, especialmente rutas historicas. Asi que la idea de esta silla es buena, aunque habría que seguir mejorándola.